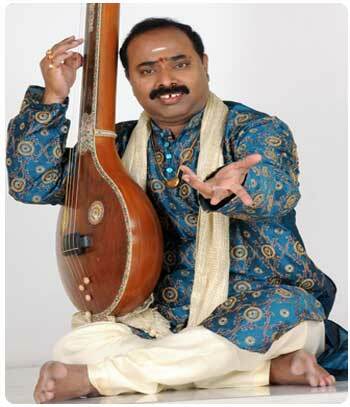 Hailing from a traditional family of educationists and music lovers, Balasubrahmanyam is armed with two Doctoral Degrees in Music - a Doctorate for Ph.D., (Music) from the University of Delhi and also ‘Sangeetacharya’, the Doctoral Title from Akhil Bharatiya Gandharva Mahavidyalaya Mandal, Miraj – a Deemed University, he has established himself as an eminent Musician, Musicologist, Composer and a Guru of high repute. Born to Late Sri D. Ramakrishna Sastry and Late Smt. D. V. Seshamma, Vyzarsu Pavani hails from a traditional family of musicians and began her musical journey at a tender age of 6. Academically, she is a Commerce (Honours) Graduate and pursued her MBA (Finance) and passed the Intermediate of ICWA. 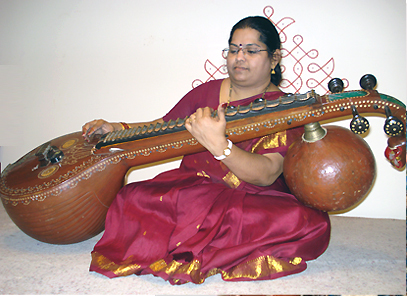 Musically, she is a Gold Medalist in M.A., (Music – Veena) and has also done her M.Phil., (Music) and is also trained well in Carnatic-Vocal.